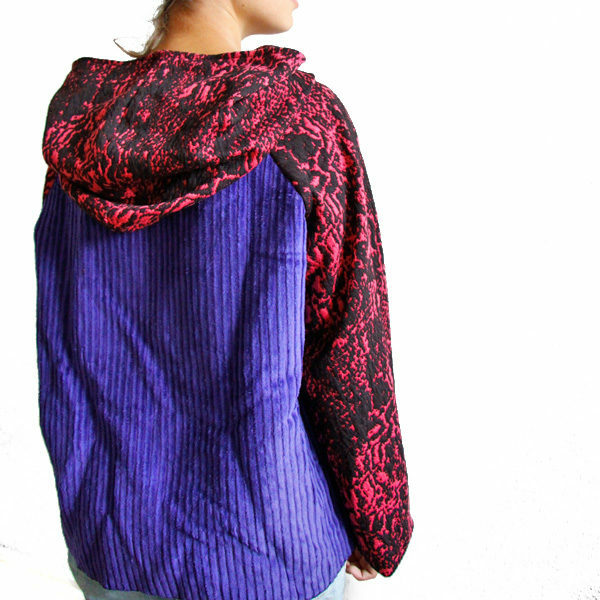 Blue hoodie with long sleeves and unlined hood. 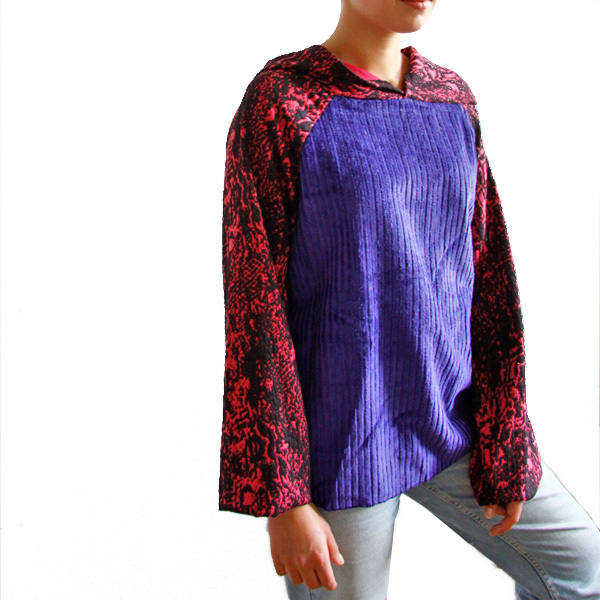 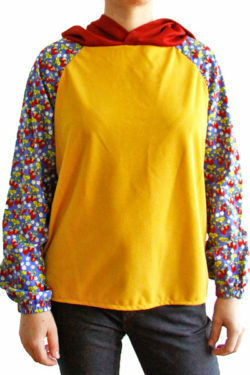 Sleeves in fuchsia with black, irregular spots. 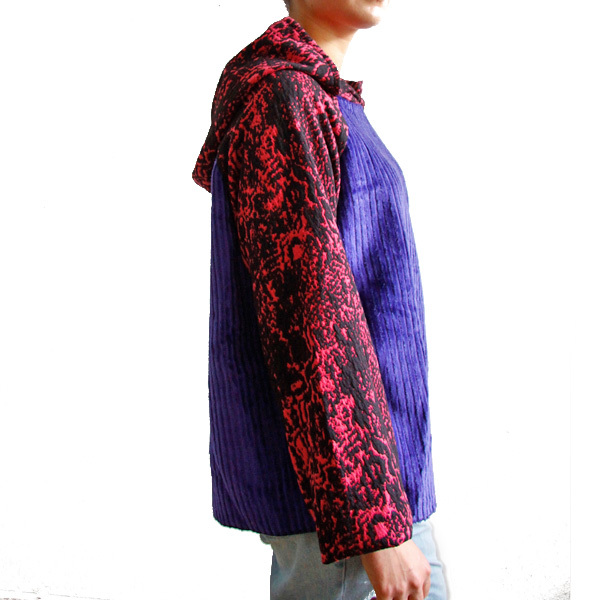 Exposed black seams inside the hood. 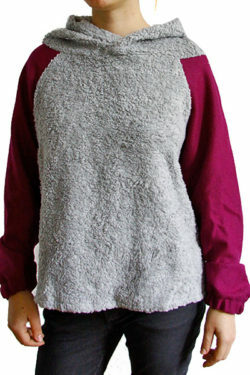 Made in chenille and elastane.